We're more than just a choir. We're creating communities through our love of singing. So you love to sing and keen to get back into it? Or perhaps you’re looking to try something new and different. Whether you’ve been part of any vocal group, are an ex-pro performer or a shower singer, the Adult Glee Club caters for all. No auditions, no solos (unless you want them) and no experience with choir or group singing required. Just a willingness to give it a go and make new friends in our beautiful Glee community. Singing together with your baby is fun!. It also helps you bond with your baby, lifts your mood, helps baby language learning, needs no equipment. What's not to like! Starting Wed May 24 9-10AM . Followed at 10.30am by daytime group of Perfect 5th choir. Newcomers sessions starting up Monday March 11 at 6.30pm! Contact Gemma if you are interested in joining us. Perfect 5th is a community a cappella group going back a decade now meeting at the Marrickville Rd Church hall under directorship of Gemma Turner (Blindman’s Holiday, The Transylvaniacs). The group takes on a wide range of material, from world music to contemporary songwriters. 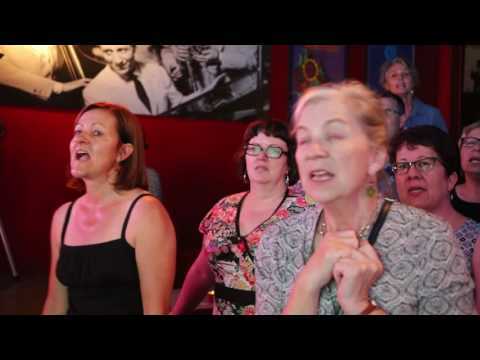 The Happening Sing is a kind of ‘open choir’ - more like a meet-up than a traditional choir. 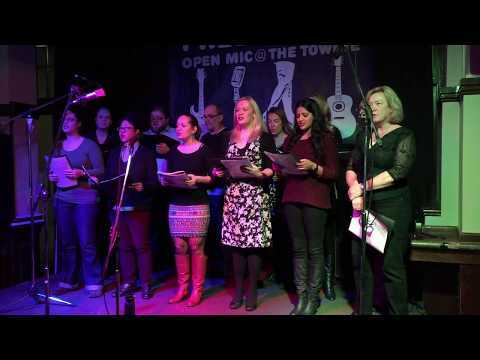 It’s all about that unique experience of being in a group of singers belting out a song in harmony, but without having to commit to a regular weekly rehearsal. Great for newcomers who might want to try choir before commmitting to coming regularly, who haven’t sung in a while or have never sung harmonies before. We’ll be doing some voice warmups, a Q & A session, finding out what part you might be in and most importantly, learning some of the standard songs in the choir’s repertoire so you can come into the choir already knowing some of the material. Perfect 5th choir is a community a cappella choir going back a decade which is now meeting at Marrickville Road Church hall under the directorship of Gemma Turner (Blindman’s Holiday, The Transylvaniacs). The group takes on a wide range of material, from world music to contemporary songwriters.